By Vicki Schieber, Trudy Conway and David Matzko. 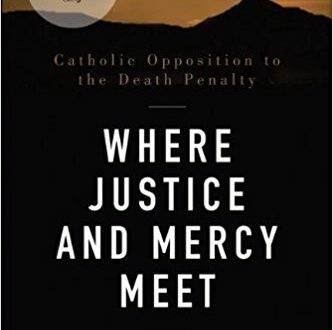 Explores the Catholic stance against capital punishment in light of the life and death of Jesus, Scripture, the Mass, the Catechism of the Catholic Church, the teaching of Pope John Paul Catholics Mobilizing Network to End the Use of the Death Penalty, as well as family members of murder victims and the spiritual advisors of condemned inmates. Offers insights into the debates about capital punishment; provides information about methods of execution; and explores national and international trends and movements related to the death penalty. It also addresses how the death penalty has been intertwined with racism, the high percentage of the mentally disabled on death row, and how the death penalty disproportionately affects the poor. Read more.